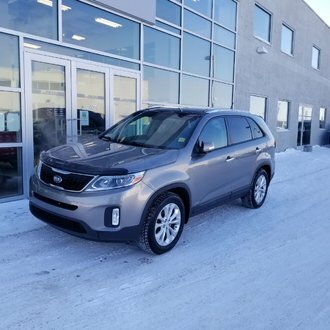 TOP OF THE LINE 2017 KIA SPORTAGE SX has a 2.0 TURBOCHARGED engine, automatic transmission, AWD, 19" alloys, PANORAMIC SUNROOF, BLINDSPOT detection, LANE DEPARTURE WARNING, NAVIGATION, PREMIUM TWO-TONE LEATHER INTERIOR, HEATED & COOLED SEATS, POWER seats, HEATED rear seats, D-SHAPED SPORT HEATED STEERING WHEEL, 8" TOUCSCHREEN w/rearview camera, APPLE CARPLAY/ANDROID AUTO, HARMON KARDON sound system, AM/FM/CD/MP3/SIRIUS, SMART POWER LIFTGATE, POWER windows, POWER mirrors, POWER door locks, PUSH BUTTON START, KEYLESS entry, BLUETOOTH, air condtioning, DUAL climate, 3.5" DRIVER INFORMATION Screen and lots more! 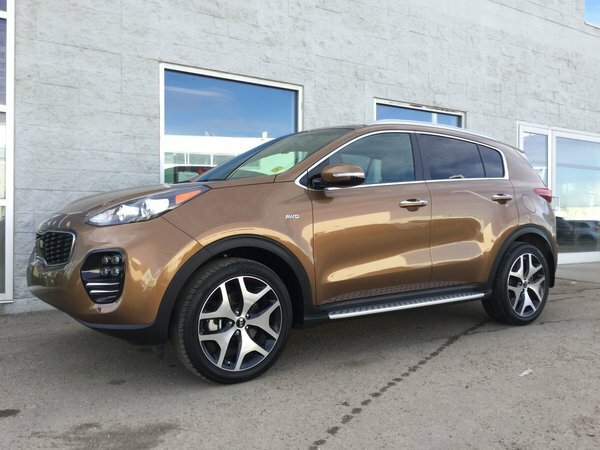 This LOW MILEAGE 2017 Sportage still has the reamining FACTORY WARRANTY (5yr/100,000KM) KIA ranked #1 in initial quality by JD POWER, 4 YEARS in a row!! !